Russia’s Kronstadt Group military manufacturer starts to export the Orion-E reconnaissance drone, Russian state arms exporter Rosoboronexport said in a statement on Wednesday. 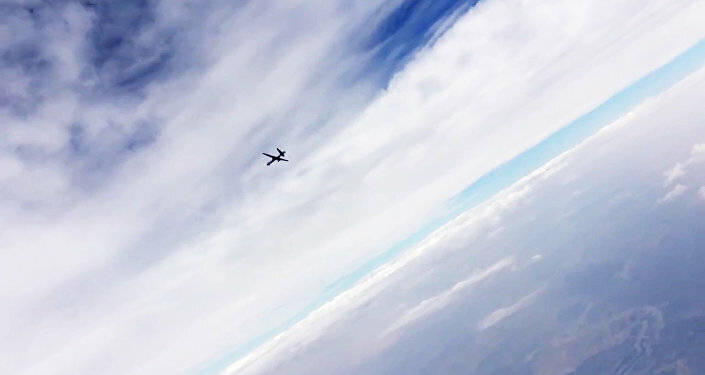 MOSCOW (Sputnik) – According to military experts, the Orion-E reconnaissance drone may be equipped with weapons, thus turning into a reconnaissance and strike unmanned aerial vehicle, Rosoboronexport's statement added. "The plant is bringing to the market a new complex of air reconnaissance with long endurance unmanned aerial vehicles ‘Orion-E’," the statement said. According to Rosoboronexport’s Deputy Director General Sergey Ladygin, the new drone may count on high demand. "According to our estimations, the sample may gain a significant share on the world drone market in the future. So, we [Russsia] will be on one of the leading places in exporting these systems," Ladygin said, as quoted in the statement. He also expressed hope that arms manufacturers would responsibly fulfill their commitments under Rosoboronexport’s contracts with foreign partners.